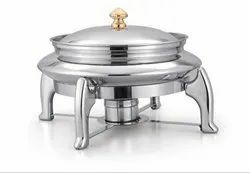 Manufacturer of a wide range of products which include rectangle dome chafer, roll top round chafing dishes, roll top round chafing dish, rectangle crystal lag chafing dish, deluxe chafing dish and water appu chafing dish. 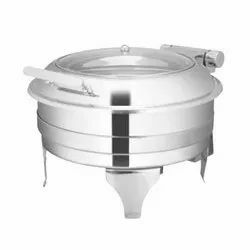 Rectangle Dome Chafer offered is available in market in different size choices and can also be provided in different designs and construction material options. 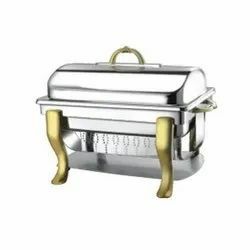 Available in heavy duty stainless steel finish for long lasting performance, its stylish finish also makes it high on aesthetics and suitable for food serving and heating applications. Available in different volume capacities, it also comes with support of fuel burner stand. Offering unmatched durability its finish style can also be custom developed as desired by the customers. We are a known name as the manufacturers and suppliers of Roll Top Round. This product is manufactured by superbly talented team which adheres to the industry protocols and guidelines. This one has the best design, best quality and best features, which enhances any buffet table presentation. 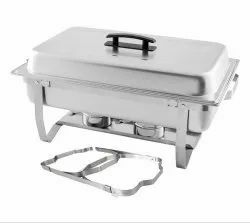 The roll top features a clutch system which prevents the lid from falling forward or back — this is important as diners will invariably let the lid go in any position. 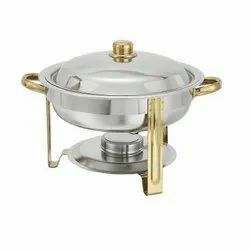 In the field of manufacturing and supplying, our company offers supreme quality Roll Top Round Chafing Dish. 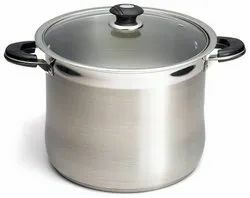 It features a lip around the inside edge of the lid which collects condensation and returns it to the water bath, making sure the water bath stays full and prevents water pooling on the counter. These chafers are designed for electric or solid fuel heating. The mounting screws under the water bath are designed to hold both the electric element and the solid fuel burner sling. 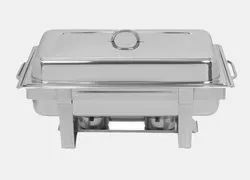 Our company has established itself as a leading manufacturer and supplier of superior quality Rectangle Crystal Lag Chafing Dish in the market at present. The products are ideal for hot application use, as these are made of excellent material with a heavier gauge (thickness). Our production unit is equipped with a research wing, which updates us with the new technology in the catering sector that can enhance our product quality along with increasing the production rate. 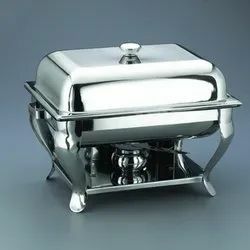 With the latest technology and innovative manufacturing machinery, we deliver the best chafing dishes and allied products in standard Gastro-norm sizes. 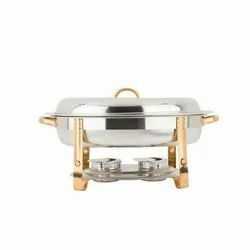 Deluxe Chafing Dish offered comprise high quality chafing dish that offers perfect blend of elegant design and practical usage. 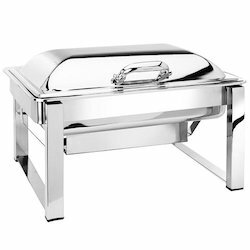 Available in a selection of styles and sizes, these are most popular chafing dish choices available in the market. Offering high durability, these are also easy to clean and maintain where its highly polished superior construction finish make these long lasting in use. 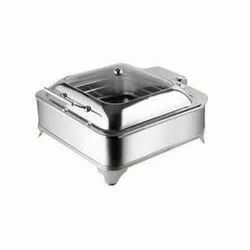 This exclusive chafing dish can also be custom designed as per the specifications provided by customers. 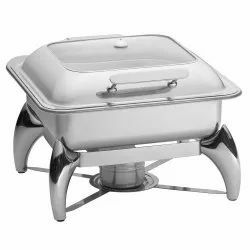 We are the leading manufacturer of Water Appu Chafing Dish. We are the leading manufacturer of C B Deluxe Chafer. 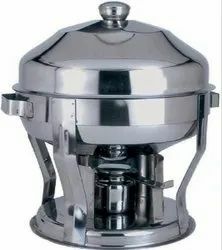 We are the leading manufacturer of C B Pagoda Chafer. 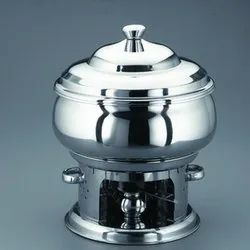 We are the leading manufacturer of C B Royal Chafer. We are the leading manufacturer of Copper Punjabi Handi. We are the leading manufacturer of Hydraulic Square Chafer. 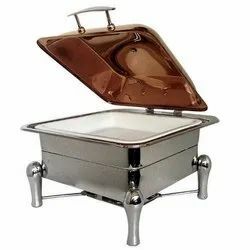 We are recognized as successful manufacturers and suppliers of Copper Gujarati Handi Chafing Dishes. These products from our side are known for their features like perfect finish, coated with anti-resistant lubricant and durability. These are available in different sizes and shapes to meet the distinct needs and demands of our customers. Very affordable rates and on-time delivery of the product make this one a preferred choice in the market. 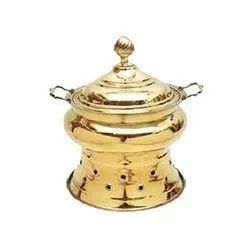 Brass Handi offered makes it highly exciting option to use at commercial places as well as homes for cookware applications. 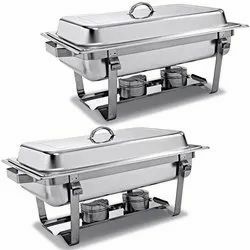 Available in different volume sizes and shape choices it finds high suitability for catering applications in hotels as well as in outdoor parties and helps in keeping the food warm, Further, its superior style, design and construction parameters can also be customized as demanded by the customers. We provide a solution to the variegated demand of Soup Station in the market by manufacturing and supplying the same. This one is designed to provide an attractive appearance while holding preheated soups at safe serving temperatures – whether it's front of the house, self-serve kiosks or catering. Heat is evenly distributed throughout the unit to hold foods at optimum temperatures and the insulated stainless steel design provides easy maintenance and durable performance. The elegant design of B. Antique Copper Matka is offered by s to customers and one can avail it at the market leading rate. The offered B. 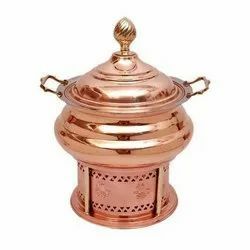 Antique Copper Matka is highly appreciated for its quality and durability. B. 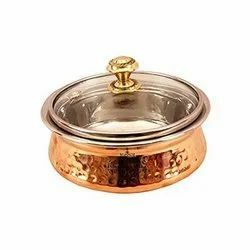 Antique Copper Matka is used in various applications. 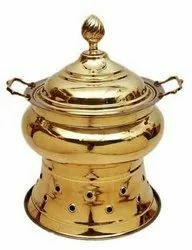 We are the leading manufacturer of Brass Mayuri Handi. We are the leading manufacturer of Hydraulic Round Chafer. 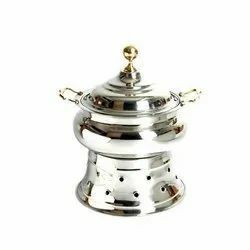 We are the leading manufacturer of Rajasthan Chafing Dish. 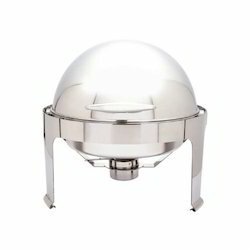 We are the leading manufacturer of Round Glass Lid Chafer.